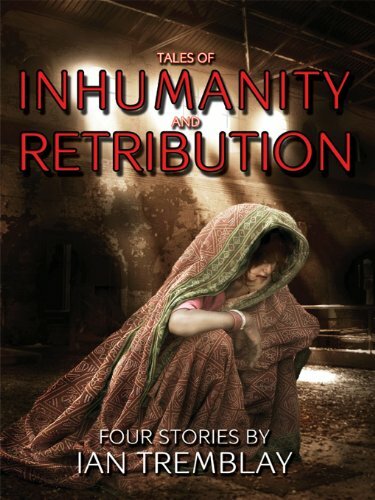 “TALES OF INHUMANITY AND RETRIBUTION” contains four long stories or novellas that are united by a dystopian and sometimes tragic commonality. Each story carries the reader into its’ unique world where secrets abound and the improbable often happens, and where beauty meets brutality, lives are broken and innocence is sometimes lost. Aicha Sayuno is a bright and striking young girl whose only crime in life is to have been born in one of the poorest places on the planet and into a family of five girls. When her father suddenly dies in a tragic working accident, she and her mother and sisters become a commodity, for those whose savage business it is, to trade in misery and exploitation. Nathaniel Evans is an up and coming but naïve entrepreneur who gets burned by savvy corporate raiders and ends up at the empty end of a business deal. He loses everything because of that move and becomes financially destitute. In an act of folly and desperation, he decides to abandon his wife and seven year old daughter and starts to roam about the country as a homeless drifter, without in seems, any precise purpose or destination in mind, but while all the time, getting ready to put his violent plan of revenge in motion. Amy and William are typical American teenagers that are kidnapped from their respective hometowns and forcefully brought to an isolated and hermetic prison-like facility somewhere in the Caribbean. This is where they meet for the first time and they quickly find out the horrendous reasons they have been brought there. From that moment on they become obsessed with only one thing, escape, and by any means necessary. Walter Sardonsky is not your ordinary IRS employee, unbeknownst to his boss and co-workers there is a dark and hidden side behind his efficient bureaucratic demeanor–he has a propensity for illicit money, strippers and champagne, and Katarina Mikhailovich, a particularly stunning Russian call girl. The dubious ways Walter gets his money to finance his vices puts him on the path of a colleague, Elizabeth Morriati, an unattractive pariah and overachiever whom he recruits into his illicit ways. Now the only question is; where will this lead them?